Would you like to receive an email reminder when auctions are about to open and close? Type your email address in the form below and click Submit. We'll then send you an email & once you reply you're on the list. Thanks & regards, Malcolm. 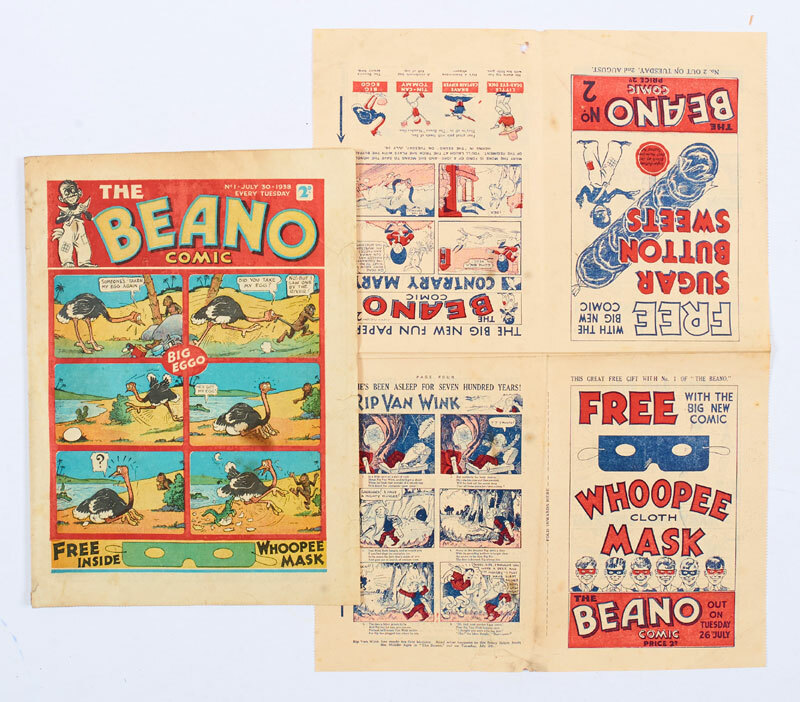 This Beano No 1 was accompanied by its No 1 Flyer, an insertion in publisher, D C Thomson’s story papers the week before Beano publication as an advertising flyer. It is a mini-comic in its own right. The comic had some cover rust marks fading through the first few pages and it was graded as [vg]. It reached just below its lower estimate at £8,700.